Strong Guy Watch: It’s Spreading! Welcome back, faithful comic book fans, for all the latest Strong Guy news! Why am I giving you news on Strong Guy, one of the most obscure and underused X-Men of all time? Because I think it’s pretty hilarious! Also, I’m a big fan. 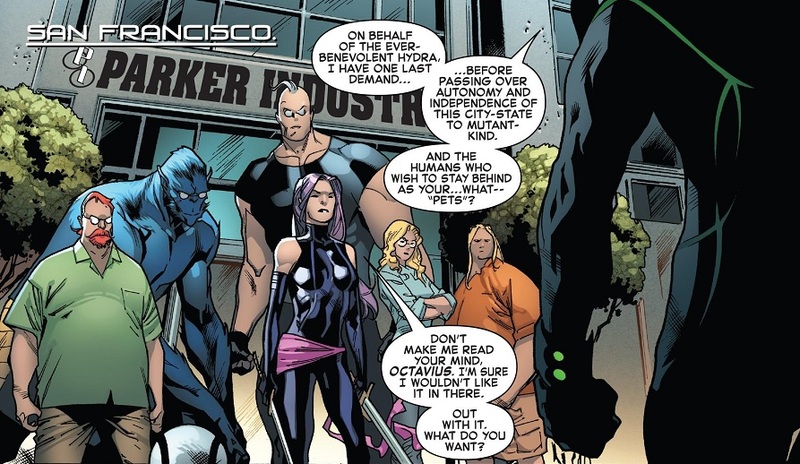 As I’ve detailed over the past few months, the mutant Strong Guy has been making odd background appearances in a lot of Marvel Comics lately. He often just shows up, usually as part of a group, and rarely says a word. It’s like some edict went out across Marvel to just use Strong Guy in the background of stuff. As a longtime Strong Guy fan, I found this rather neat. It’s the most action he’s ever gotten outside of X-Factor. And this week, we have a super neat appearance! For some reason, the Strong Guy Edict has reached the Spider-Man office! Behold, Amazing Spider-Man #30! Guess which of these blue mutants bows down to Doc Ock? That’s Strong Guy joining a couple other X-Men to try and defend Horizon Labs from Superior Octopus at the start of Secret Empire! 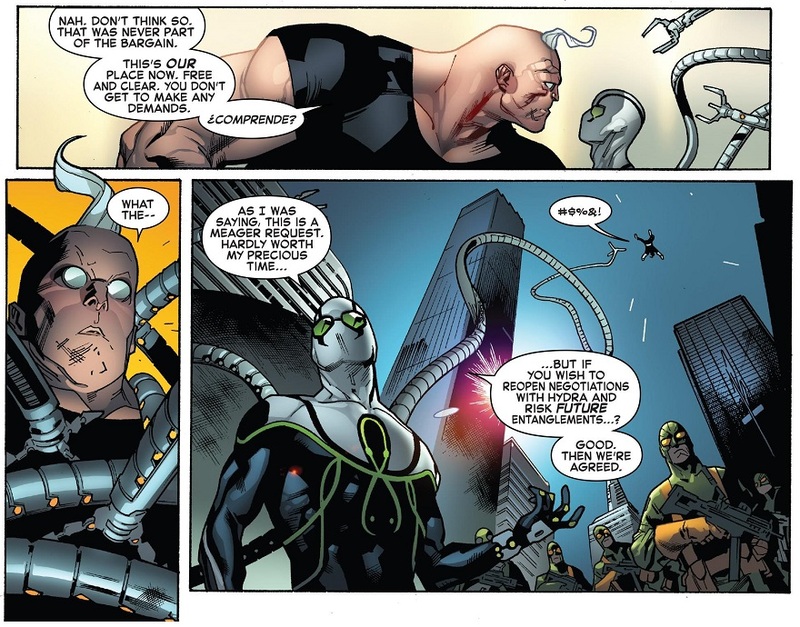 Strong Guy vs. Doc Ock? Cool! And guess which one stands up for what’s right! Now, as we all know, and as surely Amazing Spider-Man writer Dan Slott knows, Strong Guy’s mutant powers are based on absorbing kinetic energy and transforming it into crazy musculature. So when Strong Guy lands, his body is going to absorb a metric ton of energy and likely blow up his body to a crazy degree! And as we know from Strong Guy’s past, that sort of thing can be pretty traumatic. Perhaps that is the origin of his Secret Empire beard? Is it a trauma beard? This untold Strong Guy story just keeps getting more exciting and deep! Posted on July 13, 2017, in Comics, Marvel, X-Men and tagged Amazing Spider-Man, Dan Slott, Doctor Octopus, Strong Guy. Bookmark the permalink. 2 Comments. Thanks, I never would’ve seen this if not for you. My pleasure! 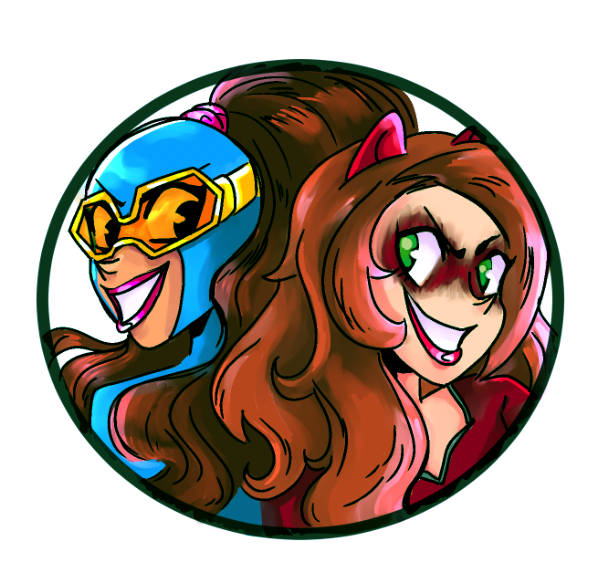 You’ve pointed out some appearances I’ve missed, too, so we’re even!